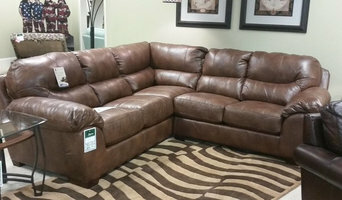 Next Generation Interiors of Bakers provides furniture sales that fit your needs in Gaston County. While some companies focus too much on sales, we put customer service and quality first. We have 2 interior designers on staff to help you create a look unique for your home. We offer you high quality and long-lasting, attractive furniture for your home, office, or other setting. We strive to provide exceptional value for the price and we treat each customer not as a number in our sales records, but as a valued customer. Our staff offers customers personalized and exceptional service along with industry knowledge and experience. Our large and diverse showroom has the furniture styles to suit any home’s architecture. In all of our 64 years in business, our mission has always been to exceed customer expectations while being recognized for our extensive selection of furniture. We recently remodeled our showroom because your satisfaction is our number one priority. Turn to Next Generation Interiors of Bakers when you’re ready to purchase new furniture. When you enter our showroom, we will show you the best value of merchandise we have available, with the finest service, which includes pleasant music and coffee, if you like. You’ll find a mix of traditional and modern designs. From ready-to-deliver to customer furniture selections, you can browse all our products until you find exactly what you’re looking for. Next Chance Next Generation Interiors of Bakers also has a consignment shop, Next Chance Consignment &Boutique. Bring in gently used furniture into our shop or choose from our selection here as well. Our staff understands how overwhelming a remodeling or furnishing project can be, so we make the process as stress-free as possible. Set up a free design consultation by calling (704) 879-2652, or stop in our showroom! 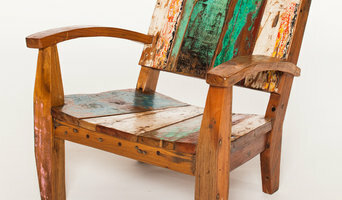 Follow the journey of retired Balinese fishing boats, loving transformed into designer furniture. 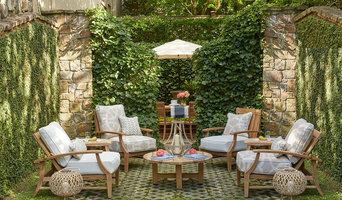 Our furniture and accessories boast patinas earned through decades on the water, and simply can't be duplicated with modern techniques. 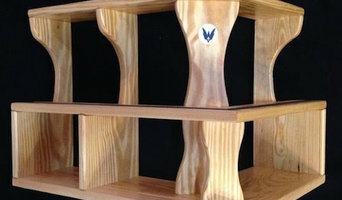 Innovative designs of products for the home, small spaces, dorm rooms and other items as well...art, puzzles, toys. Gaanjō's motto is "There is no box"--a statement about the saying, "Think outside the box". We are so far outside the 'box'---we no longer see it. A priority of the business is to donate 25% of after-tax to the charity, Childhood Disintegrative Disorder Research (501c3). We are about making your life easier--better--through product design and the world a better place for everyone, through execution of a benevolent business plan. When you buy from Gaanjō, you become part of our family--legally: the Heart of Gaanjō, welcomes all. A Lasting Touch Furniture Restoration is a professional full service furniture repair, refinishing, and restoration business that is open to the general public! We also offer chair caning and seat weaving! We proudly serve customers who live in and around the areas of Rock Hill, York, Lake Wylie, Clover, Fort Mill, Baxter, Tega Cay, Indian Land, Steele Creek, Pineville, River Hills, Rivergate, South Charlotte, Ballantyne, Matthews, Weddington, and Waxhaw. We encourage all our customers to stop by during normal business hours to chat, ask questions, and check the on progress of a piece we are currently working on. Our on-site workshop is kept clean and well organized thus providing a safe environment for the furniture, our customers, and our employees. Classic yet original, traditional yet innovative, Art Hide creates high quality, originally designed and ethically sourced leather products. With a fresh, global perspective influenced by a love of travel, culture and nature; Art Hide is designed by Australian bi-coastal sister duo, Kura Perkins and Bree Hay-Hendry. Kura’s extensive travels in South America inspired the vision for Art Hide. Bree’s skills as a textile and fashion designer brought that vision to life. The pair are passionate about making people happy by creating environments that are beautiful and unique. Underpinning this is the need to do this without harm to people or the environment. Art Hide’s range of natural artisanal rugs, decor and accessories is created from premium quality cowhide – sourced as a by-product of the meat industry – and made by leather craftspeople, using classical and modern techniques. Methods involved in tanning and dyeing are safe for workers, sustainable and non pollutant. We produce both ready made collections and bespoke items for clients and interiors. With over 75 years of experience, our staff has experience with projects of all sizes. Your project is our project. Our mission is simple: to provide our clients with the best prices, best service, and best design assistance available. Yellow Boat Pillow Company specially creates and sells high end, casual, comfortable, colorful throw pillows for the home. Our fabric is hand selected. Our pillows all include luxurious down inserts and most are made in the USA! Our niche is helping homeowners and designers find the "perfect splash" of color that brings "big wow impact" to their homes! Leathermakers was established in 1985. We are a family owned business, located at the foot of the Blue Ridge Mountains in Hickory, North Carolina. Our mission statement is to build and produce top quality leather furniture by combining our knowledge and acquiring the best materials available. Our construction is one of the best in the industry. We use solid hardwood frames, punched steel strap banding, heavy gauge steel springs, true eight way hand tied, premium grade seat cushions and backs, and top grain premium leathers. We use quality materials to produce high end leather furniture that is superior in quality and built to last. It will become a family heirloom. Leathermakers is a top of the line custom bench-crafted leather furniture manufacturer. We like doing business the old fashioned way…one piece at a time. “if it’s not Leathermakers, it may not be leather"! Style Gather Home Collection brings you unique home decor designer items. We love personalization and offer it on many of our products. Locally produced in Charlotte, NC. Réinventé candles are not only made from 100% all natural products but burn cooler, cleaner and longer. Unlike paraffin made candles, our soy product allows for long burning times due to the 0% of hazardous materials incorporated. The soy wax we also use allows for health benefits such as using the cool melted wax as a hand moisturizer.